At times we are unable to groom a dog completely or to the standard previous carried out due to several factors in a dog’s life. As dogs move into their senior years, their joints can become stiffer, their ability to stand relatively still also becomes shorter in time. Dogs hearing can become very sensitive especially to other dogs and the hairdryer noise, also the frequency of certain noises may affect a dog’s behaviour. In these dogs we are only able to offer comfort grooming. In some cases, their grooming appointments will need to be first dog of the day. Two stylists are needed to complete their groom safely at an extra cost. The second stylist will support the dog while your dog is being groomed. Sometimes we may have to groom a dog in stages to not stress the dog and give them time to rest. That is, we can stagger the grooming sessions to allow time to recover instead of completing the groom over a 2 hour period and offer a phone call to pick your dog asap to comfort your dog. We also may have to shorten or adapt some dog’s hairstyles as they get older. This allows senior dogs, recovering dogs and dogs with pre-existing concerns to be groomed comfortably minimising stress. In effect a dog may not have the same final appearance that they had carried out in their younger years or at their last grooming appointment. We will always endeavour to keep you up to date with any concerns during a grooming appointment or any behaviour that is out of the ordinary during a groom and we welcome any and all questions you may have. Senior Dogs have both good and bad days, just like us humans, therefore sometimes their grooming can have better results. 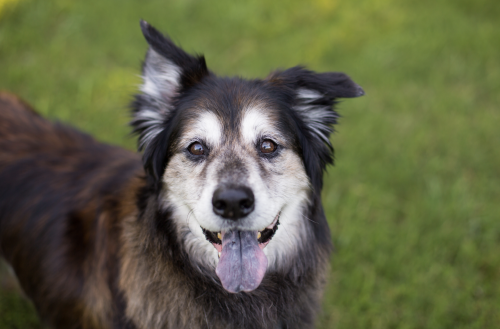 Please always check with your veterinarian regarding senior dog medications specifically for their grooming day. You will also need to sign a senior dog grooming release form. From Charmaine and the grooming team.